How Do Humidity Levels Affect Your Home? 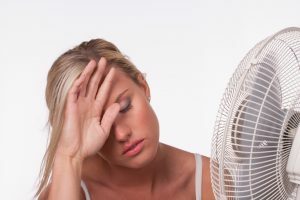 High heat is expected during the summer months here in Southern California, and it seems as if the high temperatures come sooner and sooner every year. But just as important as handling the temperature, there’s the humidity levels, which can vary a great deal during the course of the year. High humidity leaves our homes feeling muggy and gross, while low humidity results in painful dry skin and similar problems. The good news is that you can use whole-house humidifiers and dehumidifiers to maintain agreeable humidity levels no matter what. Understanding how humidity levels affect you home is key to understanding how these products can benefit you. High humidity leaves our homes feeling muggy and gross, while low humidity results in painful dry skin and similar problems. The good news is that you can use whole-house humidifiers and dehumidifiers to maintain agreeable humidity levels no matter what. Understanding how humidity levels affect you home is key to understanding how these products can benefit you. We measure humidity in terms of relative humidity, gauged as a straight percentage. The higher the percentage, the most ambient moisture can be found in the air. 0% humidity means that there’s no moisture in the air at all (something that almost never happens save for a few isolated spots on the planet), while 100% humidity equals rain. Our bodies are most comfortable when the relative humidity levels sit somewhere between 30% and 50%. If the humidity levels drop before that, it can leech moisture out of your skin and sinuses. That creates the dry itchy feeling on cold days, while drying out your sinuses leaves you more vulnerable to grams and illnesses. That comes in addition to unwanted features such as static electricity, which results in painful shocks when you touch the wall or metal objects. An entirely different set of problems arise when the humidity levels rise above 50%. At those levels, there’s too much ambient moisture in the air to allow the sweat to evaporate off of your skin, which is our body’s primary means of keeping cool. That makes the air feel hotter than it actually is: forcing your air conditioner to work harder to keep the area comfortable. High humidity also fosters the growth of mold and bacteria, and can lead to a stale, stagnant atmosphere in your home as well. You may be familiar with portable humidifiers and dehumidifiers, which can alter the humidity in a small section of your home. There are also whole-house models of both systems available, allowing you to control the humidity in your home no matter what the weather is like. Dehumidifiers, on the other hand, work in a manner similar to air conditioners, since lowering the temperature is an excellent way of removing humidity from the air. But since they’re built specifically to deal with moisture, you can tailor the humidity levels to match your specific tastes. In both cases, they can lower the strain on your HVAC system, as well as improving the comfort levels throughout your entire home. If either a humidifier or a dehumidifier sounds like a good fit for your Whittier, CA home, call on Greenleaf Heating & Cooling for installation and repair services.